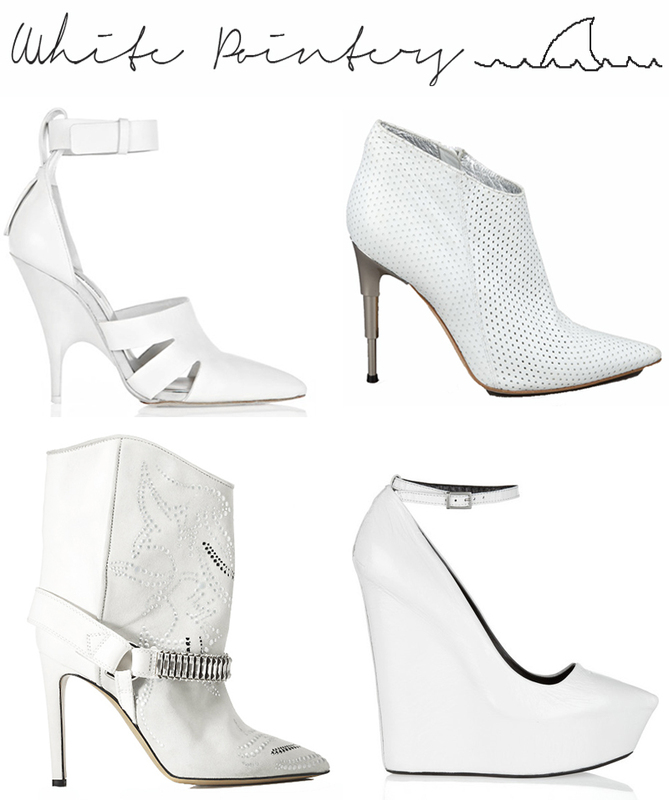 Totally feeling the vibe for crisp white pointed toe heels right now. Just a few of my favourites.. I looooove the Isabel Marant ankle boots!! love all shoes but i loveeeeeee the marant more!!! Isabel Marant! say hi to me now ! hahahaha^^ totally liking this all white pointer post. you have such a great taste in shoes !! love them! especially the thierry mugler ones! Amazing post! My favorite is the Theyskens Theory Patent Leather heel!! LOve the ones from Thierry Mugler and ofcourse Isabel Marant. Gorgeous! Great picks. Love the AW Joan heels. Wish list!